When I was three years old, I attended the 75th anniversary of my mother’s home church. (That’s me, above far right, in my mom’s arms.) That was the first of numerous church milestone events I later attended as a minister’s wife and widow. Eventually I began to notice a pattern among the milestone events that included anniversaries, homecomings, groundbreakings, and dedications. 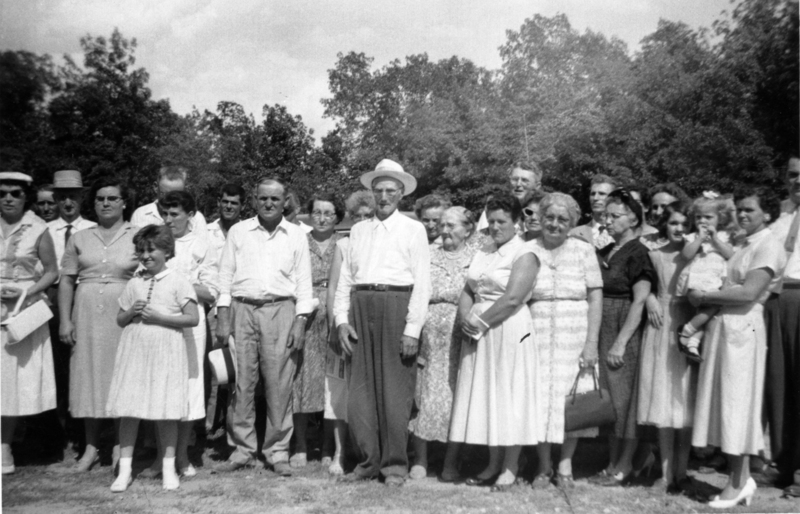 Most were single-day or weekend events, consisting of a worship service and a fellowship meal. The worship services were large-group, spectator-style events. Many in attendance had little awareness of the church’s history or understanding of speakers’ significance. The times of fellowship were a different story. Memories flowed while people walked through the church, waited for services to start, viewed photo displays, and enjoyed meals. Older members shared memories; younger and newer members asked questions. God’s work was readily recognized through small-group conversations and one-on-one interaction. This made me wonder—what would happen if congregations could have an intentional small-group time of sharing and fellowship before the main milestone event? What if it were centered on a study of God’s Word? How would that type of Bible study help people recognize and celebrate God’s leadership in the past and trust His guidance for the future? You’re about to find out through this series of small-group Bible studies developed especially to recognize church milestones. 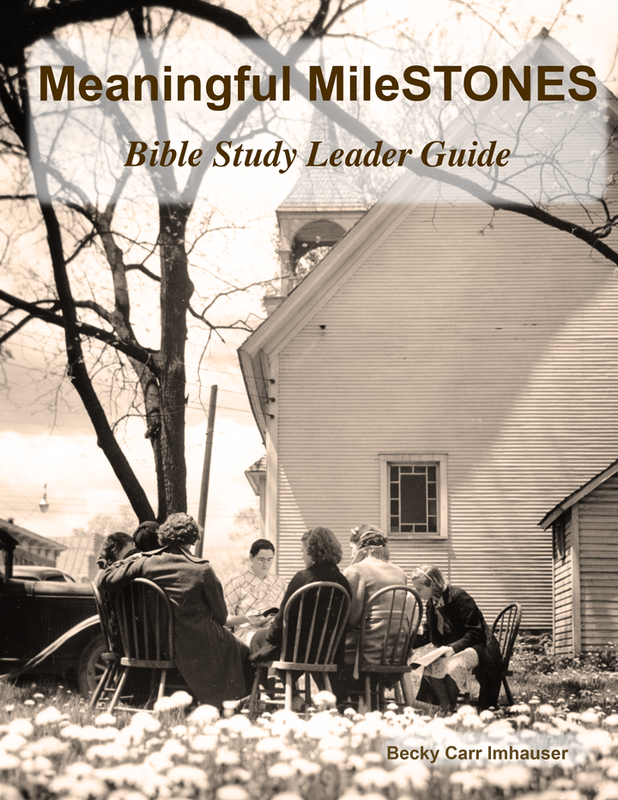 Meaningful MileSTONES is based on the memory stones concept of Joshua 3-4. 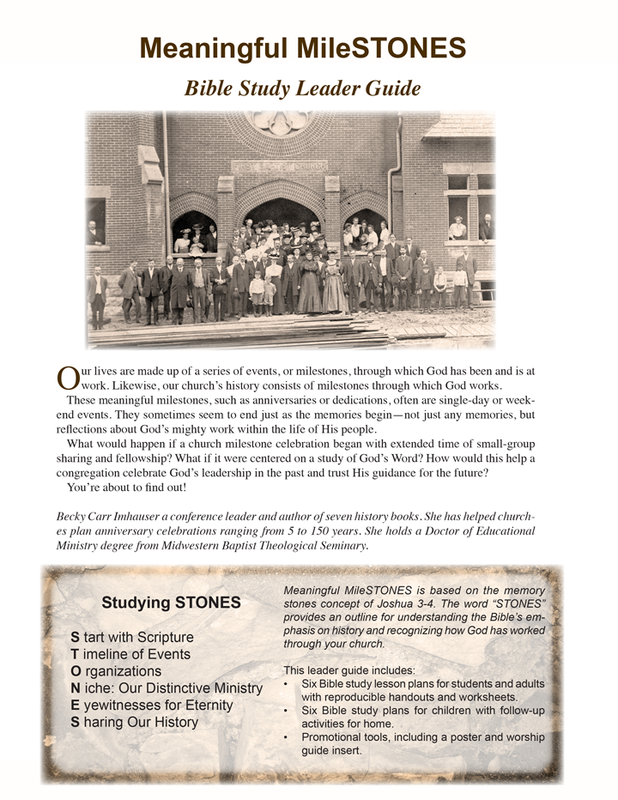 The word “STONES” provides an outline for understanding the Bible’s emphasis on history and recognizing how God has worked through your church. •	Six Bible study plans for children with follow-up activities for home. •	Promotional tools, including a poster and image for worship guide insert and projection. Becky Carr Imhauser has helped churches plan anniversary celebrations ranging from 5 to 150 years. She holds a Doctor of Educational Ministry degree from Midwestern Baptist Theological Seminary. 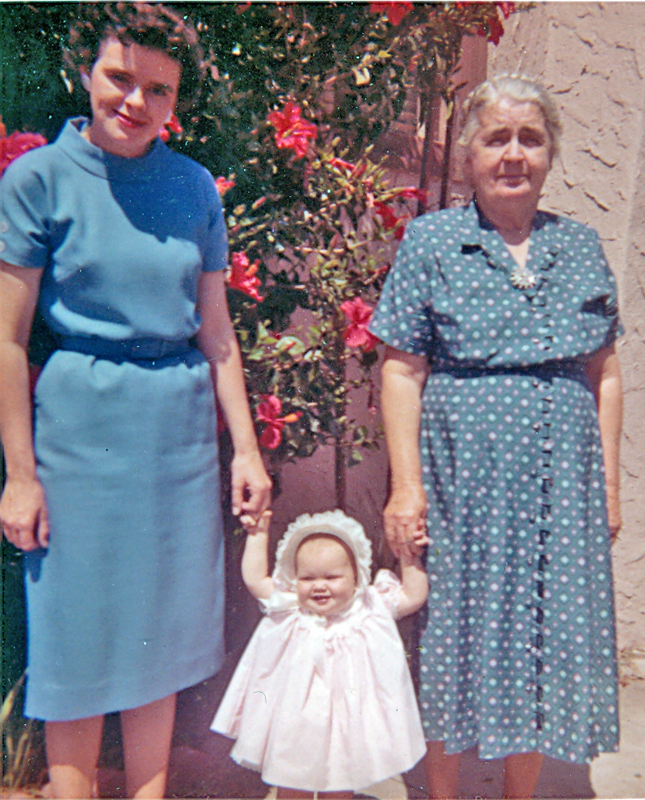 A young Becky with her mother, Betty Singer, and her grandmother.